Love is never planned, it just happens but you never know if the love that just happened is just an infatuation or real love. Finding the love of your life can transform your life and you need to be prepared to accommodate that transformation. Single life is good and happy as it is but there is no denying that there is something special about sharing your life with someone you love and someone that understands you. You need to be prepared before you meet the love of your life. Don’t worry! 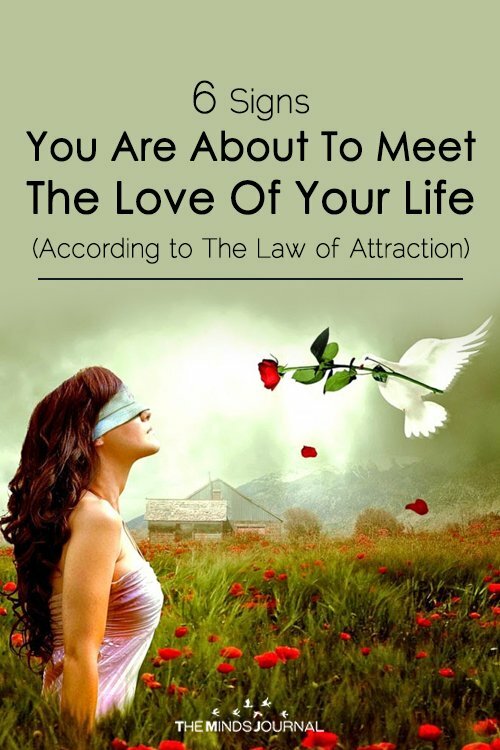 The law of attraction does the preparations for you, when you are on your journey to manifest your partner, the law of attraction prepares you slowly and gives you subtle signs that now you are prepared to welcome the love of your life. It doesn’t mean you have the picture of perfect partner in your mind but it means you know that you cannot expect someone to be exactly how you wish (in terms of height, color, accent etc.) yet know what core values you want to share. You don’t rob yourself of chances to be surprised by setting a fixed mindset to someone specific. You now do have a particular conception for what you are looking, something which you can vividly imagine. You cannot get love unless you’re ready to give and you cannot give love unless you love yourself. As they say ‘you cannot pour anything from an empty cup’. When you love yourself and work on yourself, you are making yourself better and so is the love of your life in some other place. When you both are prepared there will be a conspiracy, the universe will conspire to bring you both together. Many couples who met after working with the Law of Attraction often report that they had vividly romantic dreams shortly before they first met. Some even dream of their partner and recognize them in the dream. Dreams are quickly forgotten and you may not remember the specific details but you will have a sense of happiness throughout the day. You will feel energetic and the love keeps your spirit up throughout the day. Got a feeling of full of loving energy? You might be on the verge of meeting the love of your life, love requires efforts and energy. When you are with the love of your life, you will need this. The universe fills you with this when it prepares you. If you don’t feel that energy yet, then you’re quite not ready. You’ll need consistent and high levels of positive energy to devote to nurturing the relationship, and the Universe picks up on when you’re able to give this. 5. Everywhere you go, love seems to follow. When you seem to be surrounded with romance everywhere you go it is a sign that love is knocking on your very doors now. Romance everywhere you go, couples holding hands and as if love is the air, the feelings… something you will encounter just before you meet your partner. 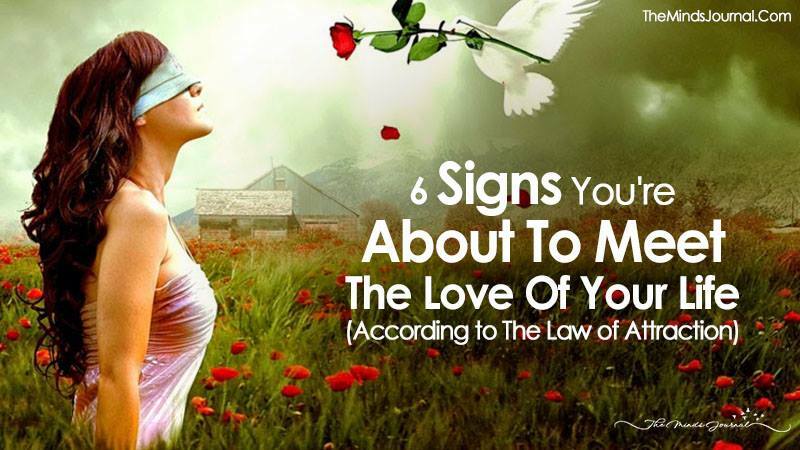 The signs will be pretty obvious, adoring couples in parks or public transports, love birds kissing, television ads of a romantic movie, love songs on speakers and much more things associated with love. Not many believe in this and not many find it out without a lot of struggle – the purpose of your life. Once you’ve done and are putting efforts to manifest your destiny, love too will peek around from the corner. When the purpose of your life is absent you feel a void, emptiness and in that melancholy, you attract people and feelings that too are at the same low level of vibration. Once you know your purpose and fill yourself with passion you will attract someone with the same level of frequency, someone who can match your level of compassion and passion. You will find someone who will share the joy of your purpose and whose will you share.